In these last days in the sign of Pisces, we are coming to the end of the journey through the zodiac. This is a delicate moment, because one cycle ends and another cycle starts straight away. Upon reaching the end of the journey we can ask ourselves if we have reached our goal, if we have found what we were looking for. In case we have forgotten what we were looking for, the purpose of our journey, this is not a big issue, since forgetting is one of the major features of human beings. The past remains a mystery. Yet it is not vital to know what happened in the past, finding out how it all started, since the past is constantly recycled in the present. In the recent episodes of our life, cosidering only the past year, we can find the purpose of this journey as well as many others. The voyage through the zodiac from Aries to Pisces covers the entire itinerary, which is repeated with every cycle. We can see it as the voyage into the mystery of Light and Love. Light and Love meant as Wholeness, Unity, Spirit, God. The zodiac is a journey in search of Love, which ends up with a failure, because Love is not found. Yet there are two types of failures, radically different in their effects: ordinary and paradoxical failure. Ordinary failure implies not finding Love at the end of the journey and having to start a new journey in order to continue the search. Paradoxical failure involves not finding Love at the end of the journey because we realise that Love has always been with us since the beginning, it never abandoned us, it was never lost. Upon realising this, we don't look for Love anymore, we start to truly Travel. Love never abandons us no matter where we are, how we feel and what we do. This is the ideal experiential realisation at the end of the voyage in Pisces. What I desperately looked for has indeed always been with me, and always will be. There is only one thing that can keep Love and Light out of our life and this is the belief that we are not loved, that we are separate, that we are not part of the Wholeness, of Love and Light. It is true that at times things can get very hard and confused for many of us on the path, especially when we appear to lose the connection with friends, places or situations representing that Love, when we cannot see or touch their outer forms anymore, and feel abandoned. And this causes the greatest pain, for in those moments we believe that also Love is lost, that we do not deserve to be loved. As the final gateway of the zodiac path is approaching, it is this outworn belief that we can resolve to dissolve. Love cannot be lost. Love can only be provisionally forgotten. And all our loving encounters in life are reminders that we are loved, that we do not need to do anything to deserve to be loved, and that we will continue to be loved, world without end. Have a luminous journey! For details on individual consultations, please contact info@astroshamanism.org or click http://www.astroshamans.com/p/consultations.html. Please be aware that we do not offer any form of fortune telling, future prediction or astrological character analysis, which we firmly oppose. The greatest mistake you can do with astrology is to believe that the stars and planets have an influence on your life. We develop our traits based on our life experience and not on our date of birth. Your personal horoscope shows what you are not, what you have been conditioned to see as yourself, your separate self and all its illusions. We employ astrology only as a strategic map of the separate human psyche and as a method for determining the division of time. Astroshamans features articles on various topics and in particular on holistic awareness and spirituality, astroshamanism, sacred relationships, healing, experiential astrology, . Astroshamanism is a holistic system of healing aimed at expanding human consciousness through the integration of shamanism with astrology, the mystery traditions and other paths of inner wisdom. Click here for more details on holistic awareness and astroshamanism. All information provided in this blog is presented solely for inspirational or recreational reading, and it is not meant to substitute the recipient’s direct experience and investigation. We do not necessarily endorse any of the ideas and views expressed in this literature, including our own. 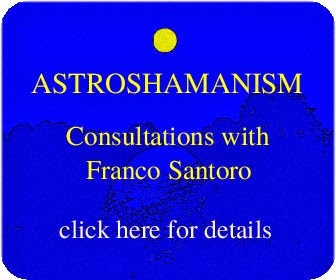 If on this page we accidentally publish copyright images or other materials not belonging to us without properly crediting them or complying with their terms of us, please send us a message or e-mail info@astroshamanism.org and we'll amend or take them down. 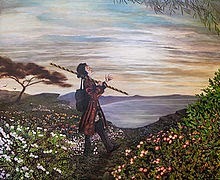 Franco Santoro, Cluny Hill College, Forres, Scotland. Awesome Inc. theme. Theme images by Jason Morrow. Powered by Blogger.